In the 2018 U.S. Tennis Open final match between Serena Williams and Naomi Osaka, tempers flared over rules violations. Umpire Carlos Ramos, during the second game of the second set, called Serena Williams for a code violation for “illegal coaching”. Setting aside the obvious — that the anti-coaching rule is outdated and needs to be revamped — Serena Williams told the chair umpire that it was a misunderstanding. When Serena Williams lost the fifth game of the second set, she smashed her racket and incurred a second code violation for “racket abuse”. This second violation resulted in a penalty point, which gave Osaka an automatic 15-0 lead in the subsequent game. Williams demanded an apology, and ultimately, called Chair Umpire Carlos Ramos “a thief”. Upon hearing the word thief — Ramos cited Williams for “verbal abuse” — a third code violation. The penalty for that violation was extreme — the automatic loss of a full game, putting Osaka up 5-3 in the second set. Two games later, Osaka won the championship. Ms. Williams was fined $17,000 by the United States Tennis Association. And she was extraordinarily gracious during the championship ceremony. Much has been written and discussed about this series of events. Defenders of Ramos point out that he is known as a stickler for Code of Conduct violations. Supporters of Serena Williams point out that she is a fierce competitor seeking a 24th Grand Slam title in the U.S. Open Championship. 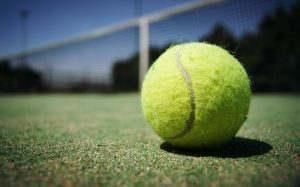 The popular tennis blog, Heavy Top Spin, confirms that in 3,500 matches studied, on only one prior instance was there a loss of game penalty enforced. Heavy Top Spin, “Gender Differences in Point Penalties,” published 9/10/18. Sports on the world championship level get emotional. And world class umpires, like Carlos Ramos, certainly understand that level of emotion. An umpire should never become a dispositive factor in any match. In this instance, perhaps a “soft warning” was in order on the first violation, and certainly, more patience was required before awarding a complete game violation so late in this world championship match. While there is blame to go around, in the final analysis, Chair Umpire Carlos Ramos should have exercised greater patience. At least that is our view. What do you think?